Daytime TV host Kathie Lee Gifford had her final day on NBC's "Today" show Friday, after 11 years of co-hosting. 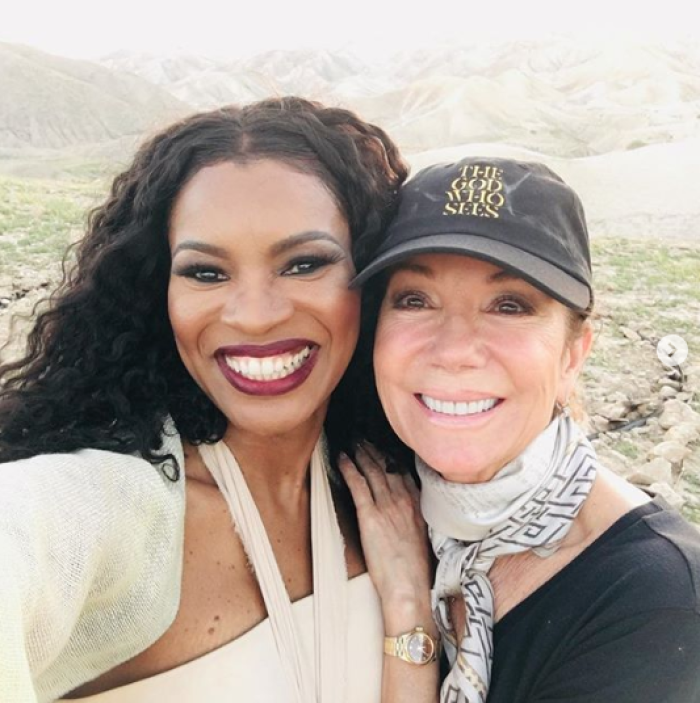 Before making her official exit, the Emmy Award winner released a short film, titled “The God Who Sees,” featuring Nicole C Mullen. The "modern oratorio" was directed by Gifford and shot in Israel. Mullen, the star of the film and the voice of the song and narration sings and shares about multiple characters in the Bible who have had desert experiences but God saw them through. "Can you identify with Hagar the single mother, Ruth the widow, David from shepherd boy to King ... but still struggling? Or how about Mary of Magdela whose mental illness was caused by demonic forces? Ever been afraid, uncertain, worried, on the run?" Mullen wrote in an Instagram post about some of the people she mentions in the song. The title is based on one of God's biblical names — El Ro-ee — which translates to "The God Who Sees Me." Hagar gave God the name in Gen 16:13. The song begins in the Old Testament and shows how God is faithful all the way through and ultimately shares the Gospel of Jesus Christ. "God was giving us something special,” Gifford testified in a behind-the-scenes promotion for the project. The respected entertainer linked up with Mullens to create the song. After writing it out, it was recorded in one take at a studio in Nashville. Gifford believes God then told her to shoot the video as a short film in Israel. "It needed the Holy Land. It needed to set this woman representing all the people in the desert experiences that they're having. Then I started seeing what she should be wearing, how she should have her hair, how the wind should take a scarf that she's carrying. I knew from going to Israel as often as I have where I wanted her on a ledge singing," she revealed. Both Gifford and Mullen said her hope is that people are touched by the Holy Spirit when watching the film and feel "the power of His presence" that will "bring them to their knees." The author of The Rock, the Road, and the Rabbi, also would like for the film to encourage people to visit Israel too. "Come to the Holy Land. Visit it. Go to the places where these things actually happened," Gifford emphasized.